Looking for an easy way to brighten your smile? Consider dental veneers. If you’re interested in restoring the original brilliance and vitality of your smile or simply correcting a few trouble spots, you may want to consider dental veneers in Lexington, SC. 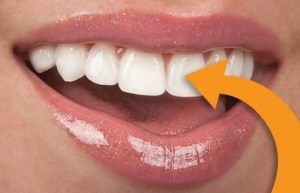 While there are several popular methods and materials used to correct tooth function, dental veneers are used primarily to enhance the appearance of your teeth and brighten your smile. They are ultra-thin shells made from stain-resistant materials that adhere to the surface of your existing teeth. Smith & Robinson Dentistry, located in Lexington, SC, can help you correct misalignment, chips, gaps, discoloration, stubborn stains and surface imperfections, with the placement of veneers. Veneers are custom-made for your teeth from either porcelain or composite resin materials. An elite dental lab ceramist can make porcelain veneers indistinguishable from real teeth. And they have a proven track record of durability. For people whose teeth do not respond well to traditional whitening methods, veneering is often an ideal solution. Placement of porcelain veneers often requires some of the tooth structure be removed before they can be bonded permanently. Porcelain is stain resistant and certainly stronger and more beautiful. While both materials resemble natural tooth enamel initially, resin loses its luster over time, usually in a couple of years. Resin is less expensive and can most often be accomplished without any tooth removal making them reversible restorations. They can be placed on just one tooth or many teeth simultaneously depending on your needs. A visit to your local dentist in Lexington, SC for a consultation is the first step in the process and requires your active participation. Explain to your dentist what areas you wish to improve and what you hope to gain with the procedure. Your dentist can then examine your teeth to determine if you’re a good candidate and the best materials for the procedure. The second step in the process is another visit for preparation. First, local anesthetic can be administered to numb the preparation area. An impression will then be made of your teeth and sent to a lab so that the veneers can be fabricated to perfection. Next, a small amount of enamel, usually about ½ -1 millimeter, will need to be removed from the surface of your teeth. This is done so that when the veneers are placed, they will fit properly and restore original tooth form and function. Temporary veneers may be placed if needed. The construction of the veneers will take 3-4 weeks. When you go back for placement, your dentist will go to great lengths to ensure each one is the right size and shape to adhere tightly, trying them on individually. Then the teeth will be cleaned, polished and etched. This ensures the surface of the tooth is roughened slightly to bond well with the veneer. Special, light-sensitive cement is used to adhere the veneer to the tooth once it’s placed. When the veneer is in the proper position, a light is used to cure the cement so that it hardens quickly and permanently. The dentist will check your bite and trim off any excess cement. Finally, a follow up visit will allow your Lexington, SC dentist check the performance of your veneers and ensure your satisfaction. The better you care for your veneers, the longer they will last. Generally speaking, they will need replacing at some point, but when that will be is different for everyone. Many veneer cases last 15-20 years! The same oral hygiene rules apply for veneers as they do for your original teeth; regular brushing and flossing will extend the life of your veneers. Your dental specialist can provide you with instructions on how to care for them so that you can enjoy your new and improved smile for as long as possible. Dental veneers in Lexington, SC can range anywhere from $500 – $1,300 per tooth, depending on the number you need, the material you choose, and your insurance company benefits. You and your dental specialist will decide together how extensive your case will be. Photographs and models will help plan your case! Does dental insurance cover the cost of dental veneers? Insurance coverage for veneers is more common than you think! In the past cosmetic procedures of any kind were rarely covered, but check with your dental insurance carrier to be sure. If you are deemed a good candidate, you’ll remain an active participant in the entire process, approving the plans for the final result before any procedures are done. A boost in self confidence , a more beautiful smile and improved dental strength and health are just a few reasons why people make the decision to speak with a specialist about dental veneers in Lexington, SC. You can request a consultation with Drs. Smith and Robinson, DMD to see if you’re a suitable candidate for veneering or another cosmetic procedure.